Jason and I recently got back from 5 weeks in Thailand! As vegans who love raw food, we ate a lot of fresh spring rolls! I’ve been making them in my kitchen lately and can’t believe how easy they are! 1. 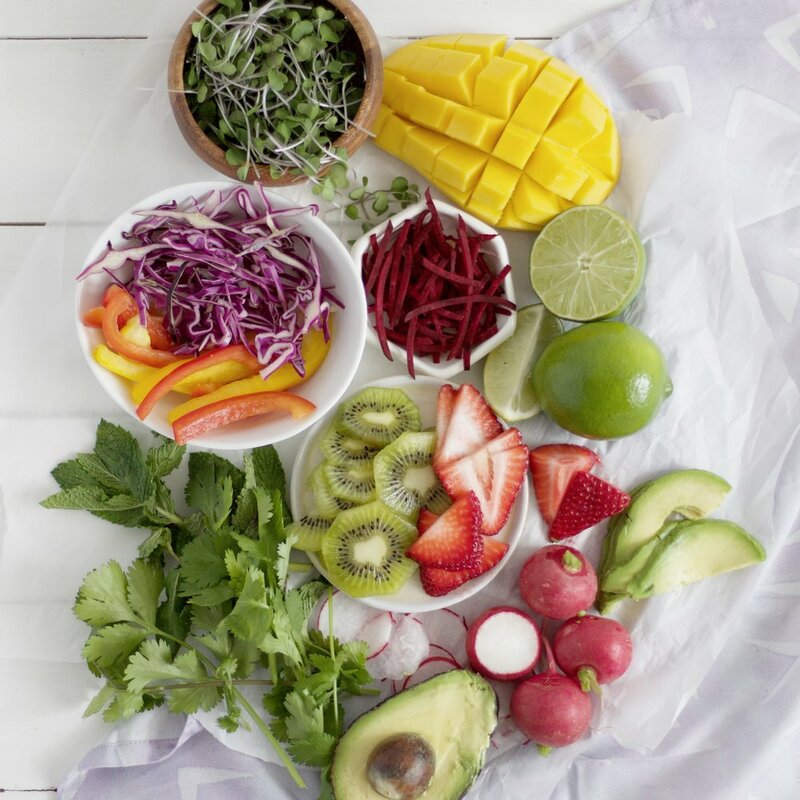 Chop an assortment fruits, veggies + herbs. 2. Fill saucepan with warm water (2 inches deep) – submerge rice paper fully until soft. 3. Layout rice paper and fill your chopped fruits, veggies + herbs. 4. Fold outside edges and roll! Paired with our PURPLE lotus napkins for a summer feel! Use fruit to add a tropical flair! We enjoyed the strawberries, kiwi and mango. What fruits would you add?